Istanbul airport system is 4th busiest in Europe and 10th busiest in the World with currently functioning two airports - Ataturk and Sabiha Gokcen. Third - Istanbul New Airport - is to start receiving planes on November 1, 2018.
International Ataturk and Sabiha Gokcen airports flew over 85,500,000 passengers in 2014. 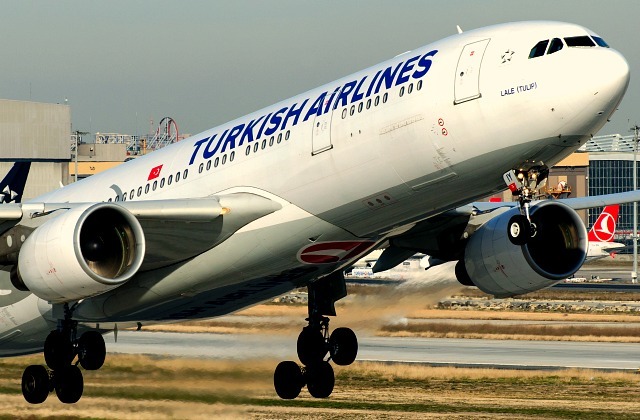 Los Angeles and Shanghai outnumber Istanbul’s air traffic by about 5 million passengers per year. 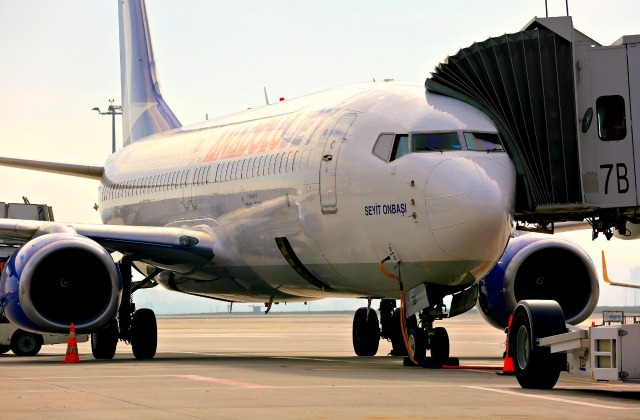 Hotels near airports in Istanbul. Taxi cabs in Istanbul are yellow. There are taxi stands (taxi duragi in Turkish) throughout the city. Each stand has its own name usually named after a district they are located at or have owner's name. You can call them (get the number in advance) or pop up to get a car if one available at that location. At rush hours there might be none. Then you are better off catching a cab on the road. You can catch a cab by waiving on a street if you see a taxi coming. More often than not if the taxi is available for a ride it will even violate traffic rules and make sure it picks you up. Also, if the taxi is ready for passengers the driver beeps the horn which means "look at me, I am available". Taxi rates for traveling from an airport in Istanbul are usually higher than those for coming to the airport. Even though taximeters are used most of the time watch out for sneaky taxi drivers. Know your numbers! At the airport yellow taxis are conveniently located outside of the terminals. Taxi fare to Sultanahmet from Ataturk Airport is about 150 Turkish Liras. Taxi fare from Ataturk Airport to Taksim is about 200 Turkish Liras. Take an official yellow taxi cab lined up outside of the airport. Be aware that taxis have same rates during the day and at night. Make sure taxi driver turns on the taximeter as you start your trip. You can see numbers ticking either on the rear-view mirror or down where CD player usually is. Take airport shuttle Havatas to save on your travel from/to an airport. Find busses outside of the airport, on the second lane after the taxis, with HAVATAS written on them. Price: 16 Turkish Liras. Havatas is available both from Ataturk Airport and Sabiha Gokcen Airport. Shuttle goes to Taksim and Yeni Kapi IDO on the European side, Kadikoy, Yenisahra on the Asian side of Istanbul (schedule). Neither of the routes go directly to touristic district Sultanahmet. Hop on a metro (map) to go to Sultanahmet from Taksim or Yenikapi. Here is how to pay for your metro ride. This airport is to stop serving passengers by the end of 2018 as a brand new Istanbul New Airport to open in November 2018. Istanbul Ataturk International Airport has become too congested to adequately serve current growing needs of air traffic. There is also no space to further enlarge the airport, therefore it was decided to shut it down when the New Airport starts receiving planes. Location: Yesilkoy, European side of Istanbul. 24 km (15 miles) from Istanbul city center. Allow some time at a sophisticated duty free area at the airport. If you missed Istanbul's one of the top attractions Grand Bazaar, see it's closest replica at airport's duty free shop called The Old Bazaar. Istanbul Card (for paying your public transportation fare) is sold at the metro level. Follow “M” sign to find metro down the escalator. Refresh your snack and drink stock at a supermarket on the ground floor. This is your best bet for getting water and other things to chew on at a reasonable price while at the airport. 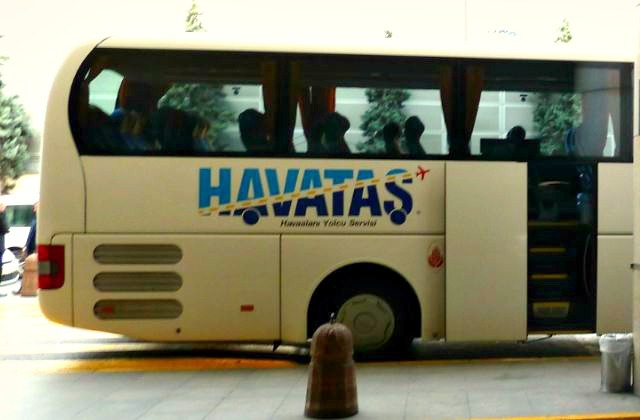 Airport transfer, Havatas, goes to Taksim and Yenikapi IDO stops from Ataturk Airport. Check destination before hopping on the bus. Sabiha Gokcen Airport is a modern international airport named after Turkish female aviator. Location: Pendik, Asian side of Istanbul. 35 km (22 miles) from Istanbul city center. Duty free at Sabiha Gokcen and Ataturk airports differ. Different companies manage the space, therefore brands and products vary. Istanbul Card is sold outside the terminal at a kiosk. Taxi fare to Sultanahmet is about 100 Turkish Liras. Taxi fare to Taksim is about 90 Turkish Liras. Airport transfer, Havatas, goes to Taksim, Kadikoy and Yenisahra districts from Sabiha Gokcen Airport. Make sure you get on the right bus. Istanbul is about to boast world's largest terminal in its Istanbul New Airport ("Istanbul Yeni Havalimani" in Turkish). It is also referred to as the Third Airport ("Ucuncu Havalimani" in Turkish). The new airport is under construction and is scheduled to receive its first local passengers in November 2018 as phase I of the project. 76.5 million square meters of the first terminal is expected to serve 90 million passengers per year. Only two world's busiest airports (2016 statistics) Atlanta International Airport and Beijing Capital International Airport outnumber such a capacity. When all four phases of the project are implemented and other planned terminals are added, the number of guests handled per year is expected to rise up to 200 million passengers. The New Airport will have four runways. Turkish Airlines is based at this airport. Thoroughly thought out shopping and resting areas along with robotic check-in and baggage claim terminals are designed to make the New Airport the most desired layover point in the world. Location: Arnavutkoy district on the European side of Istanbul. Do not confuse Arnavutkoy the neighborhood in Istanbul which is also located on the European side (Besiktas district) and famous for its historic Ottoman mansions and narrow hilly streets. Upon arrival get Turkish Liras. Rate offered at the airport is usually low but you need local cash to pay for taxi or metro. Get small notes and coins for easier pays. Upon return from Istanbul get rid of all the spare cash and coins at the airport. Find yellow Travelersbox machine after you get through the passport control. Follow instructions to turn your leftover foreign currency into your Papypal account, Skype credit, Viber, iTunes voucher, Starbucks, Sephora, Gap and many other vouchers. Buy your Istanbul Card to pay for public transportation (including Havatas, the airport shuttle). Keep in mind that prices for food in cafes and restaurants are higher than in the city (even if it’s a chain restaurant). Note that airport shuttle goes to different points in Istanbul. Check the buse’s route before boarding. Get Tax Refund when you return from Istanbul for your shopping expenses over 110 Turkish Liras.